New fish-keepers are quite often impatient to set up their aquarium and want to add their new, expensive fish as soon as possible. This common misstep can have disastrous results that may discourage beginners from ever trying again. 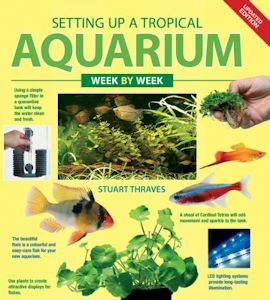 The book uses detailed photographic sequences to follow each stage of setting up an aquarium in real time over 10 weeks.